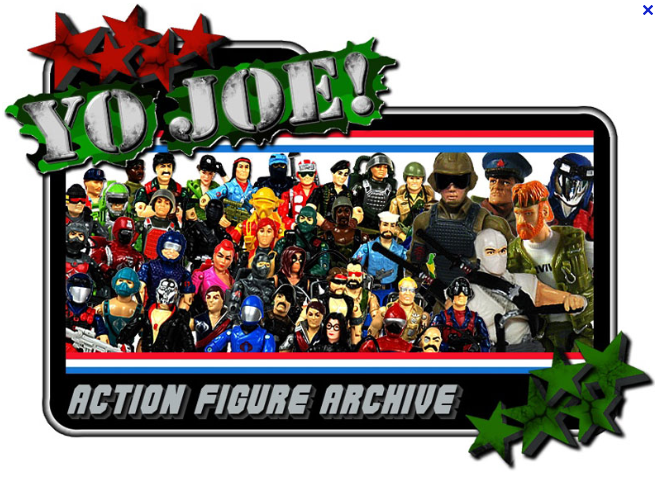 Introducing YoJoe v 2.0 – the original Joe archive site just got better! If you’re like most Joe fans, YoJoe.com is domain that you visit fairly often. It’s the original and most comprehensive database of G.I. Joe-related materials on the internet with every figure, vehicle, and accessory cataloged and photographed for reference. Sometimes it was a bit cumbersome to navigate but that was just part of the YoJoe experience. After all, the site’s basic format has been unchanged since the late 90’s. However, the staff over at YJ wasn’t content to just sit on their collective status quo. Enter: YoJoe 2.0! Archive updates have been pretty quiet around here over the last few months, but it’s been busy behind the scenes. Today we’re excited to announce the beta rollout of a brand new version of YoJoe. The first part of the rollout is the 3 3/4″ Action Figure Archives. It’s a totally new index layout that lets you navigate by text-link or thumbnail, with fewer page loads to get to the figures you want to see and a lot more information all together in one place. Figure version lists are easier to navigate and all relevant pictures are on the same page. Filecard images? Card backs? All Geared Up pics? You no longer have to navigate away from the archive entry to view them. And this is only the start. Over the coming weeks and months, we’ll continue to overhaul the other sections of the site, until every corner of YoJoe is up to date. Faster loading pages, clean and sleek layouts, and better images. We’ve already added in new figure entries for you to look at. Take a look at the new archives and let us know what you think. Remember, this is a beta. If you like it, let us know. If you see a problem or a mistake or ways to improve it, let us know. If you have better pics, send ‘em in. You’ll get full photo credit if we use them. Congrats guys! The cleaner navigation and instant access to figure thumbnails is a HUGE improvement! I can only imagine how many hours of blood sweat and tears went into this but the hard work has paid off. The site looks great and will continue to be my default online reference until the last o-ring in my collection snaps!